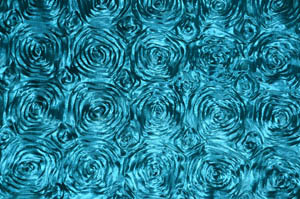 Order the best Quality Rosette Satin Tablecloths in beautiful Teal Color. Need Help Choosing the Correct Table Size? Click Here! Fabric Weight: Medium hand weight, soft touch.